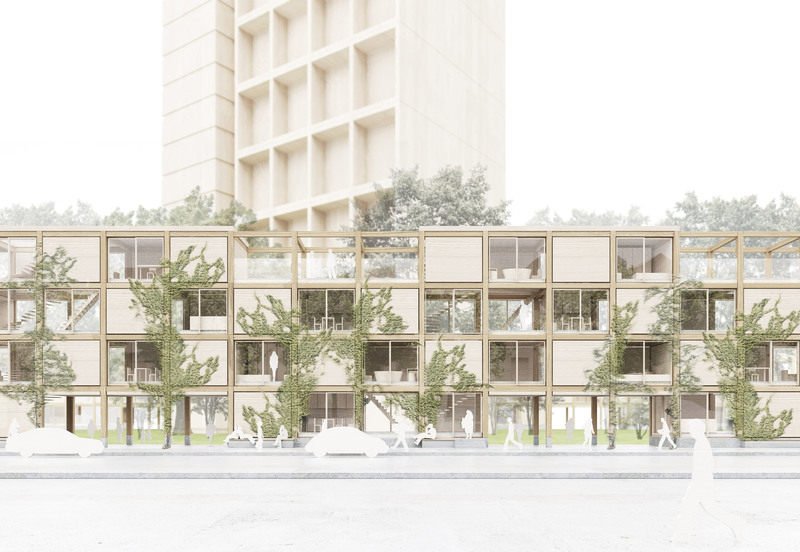 Swedish architecture firm White Arkitekter has proposed building the narrow apartment blocks to increase the density of London’s housing estates. 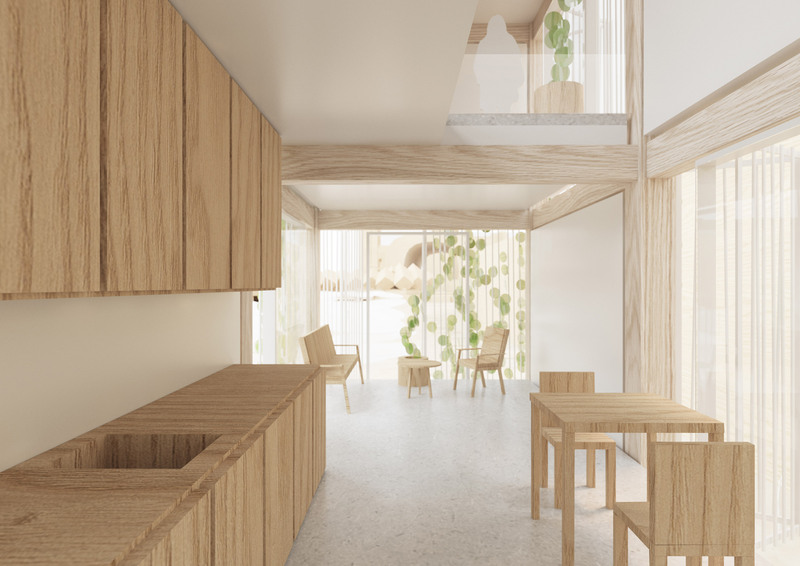 “Hedge House allows existing affordable apartments and residents to stay,” White Arkitekter told Dezeen. 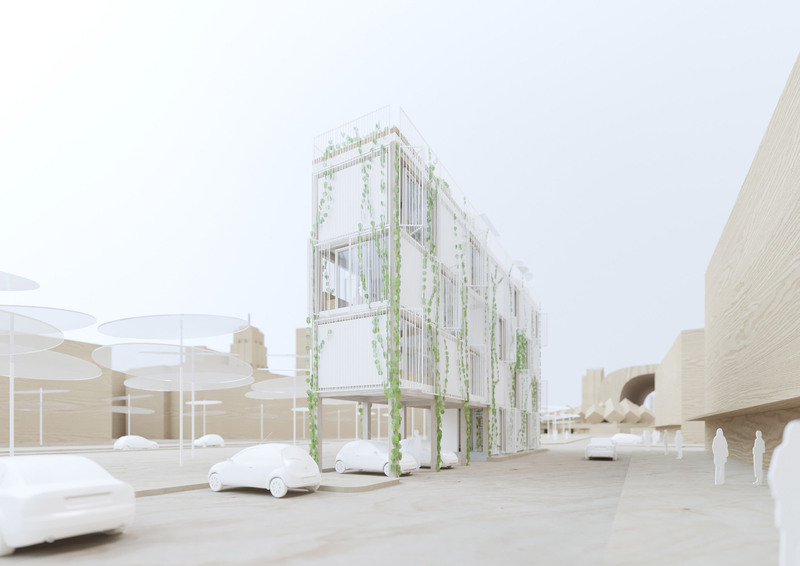 “This solution leads to better affordability as there is a low site cost, no demolition and loss of existing affordable homes,” the studio told Dezeen. 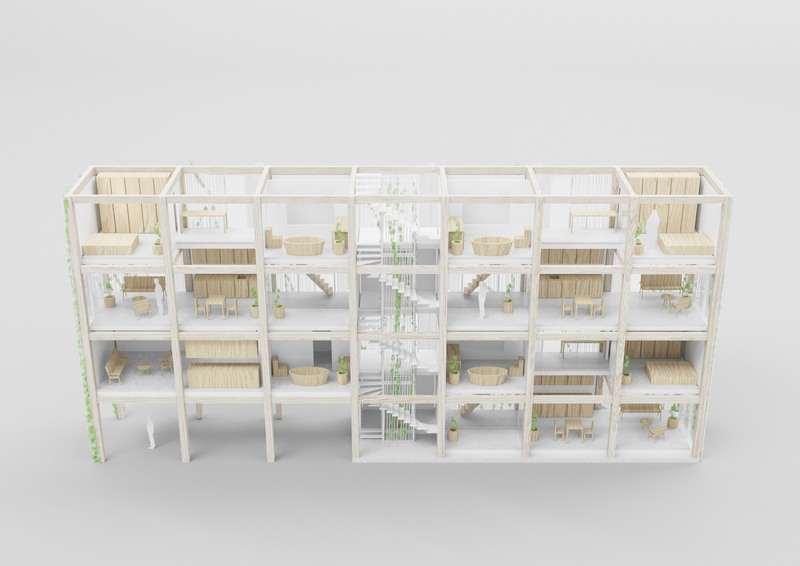 Available space on the ground floor of the apartment blocks could house small businesses such as cafes and shops in an effort to “activate the street” according to the architecture studio. 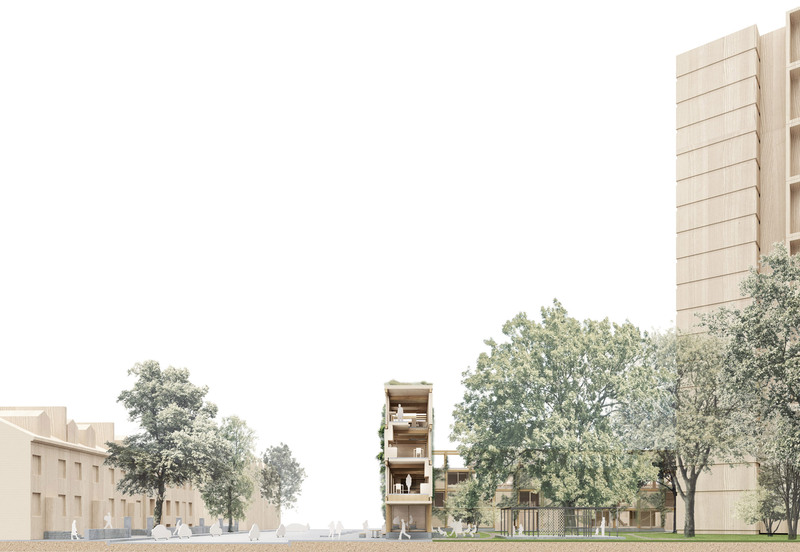 “The Haygate Estate in Elephant and Castle removed 1,000 socially rented homes and replaced them with 2,000 private homes for sale and only 82 socially rented homes,” said White Arkitekter. “Densification alone can lead to new build developments which move out existing tenants and replace affordable rented homes with unaffordable homes for sale,” said the studio. 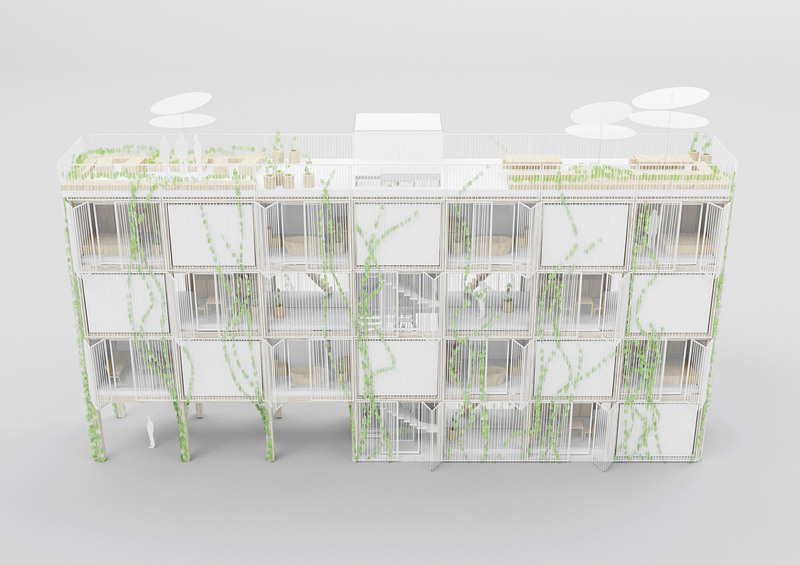 “Borderless green spaces without a sense of ownership often become rundown and underused,” said White Arkitekter. 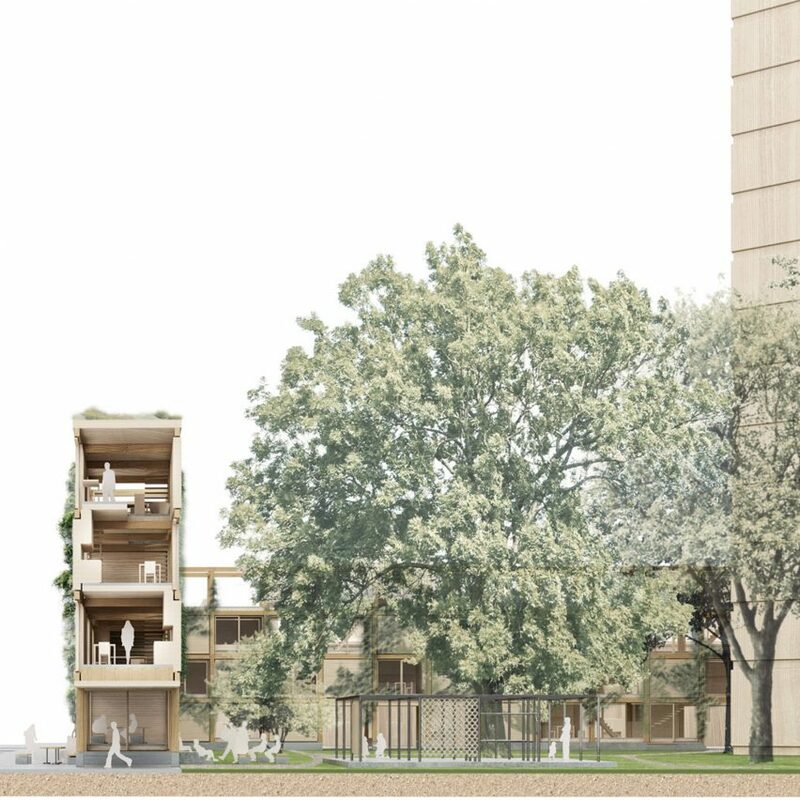 The project won the BB-Green Award in the London Affordable Housing Challenge, an open call competition to come up with innovative designs to increase London’s housing stock. 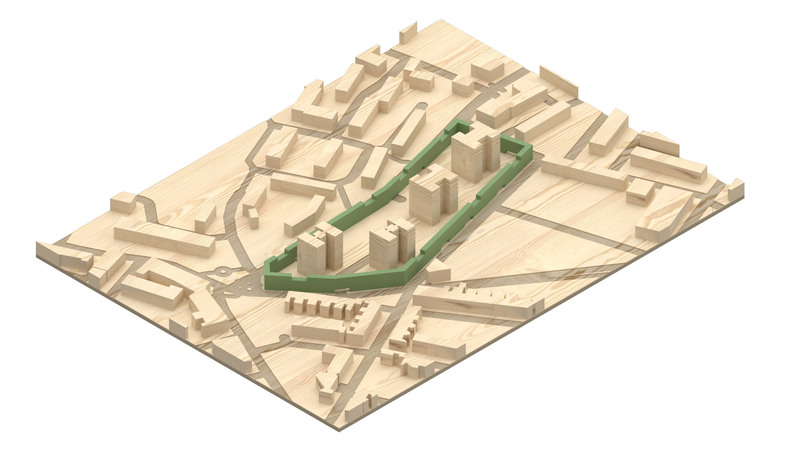 The post White Arkitekter proposes building ribbon of housing around London estates appeared first on Dezeen.